The term imaging can both denote certain methods and applications which involve such matters. The generation of an optical image often means that light received from points of an object is sent to points on some image plane. More generally, imaging may mean that points in a certain plane (containing any objects or not) are mapped to points in some other plane. In some cases, one does three-dimensional imaging, collecting information on object points not only in one plane. The simplest kind of optical imaging is achieved with the pinhole camera (camera obscura), requiring only a pinhole and no other optical elements like lenses or mirrors. Because that operation principle is rather limiting, particularly because of a trade-off between resolution and light collection efficiency, other imaging methods are applied in most cases. The most common principle of optical imaging is that with a single lens, or similarly with a multiple-lens system, also called an objective. This is explained in the article on imaging with a lens. Some imaging devices work by scanning objects point by point and assembling those data to complete images. In some cases, one does a line scan in one dimension only. Some imaging methods are suitable for acquiring three-dimensional images. This is possible with holography and with some scanning methods such as optical coherence tomography. The resolution achievable with optical imaging is in most cases limited by diffraction to the order of half the optical wavelength. However, there are a couple of methods for super-resolution imaging beyond the diffraction limit. For example, there are near-field microscopy methods and certain methods of fluorescence microscopy. Infrared light is widely used for imaging; there are special infrared cameras, e.g. for thermal imaging and night vision. In some cases, ultraviolet light is used, for example in the context of laser lithography. There are various methods of X-ray imaging. A difficulty in that domain is that it is hard to produce effective mirrors, except for glazing incidence. For example, Wolter telescopes are used in space for X-ray observation of stars. 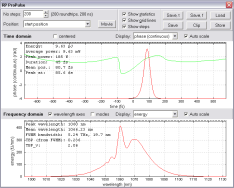 Terahertz imaging exploits the penetration of terahertz radiation through substances. In a photo camera, one uses a photographic objective for imaging objects either onto a photographic film or an electronic image sensor. There is also a wide range of other types of cameras, including video cameras for moving images. A microscope can image tiny objects to the human eye or into a microscope camera. For small magnifications, loupes are often sufficient. Various kinds of telescopes, including binoculars and monoculars, can be used for viewing distant objects. Endoscopes, borescopes, fiberscopes and videoscopes are used for viewing objects through rigid or flexible tubes. Infrared viewers can be used to see based on infrared light. Laser projectors can project images with large magnification onto screens. Various types of machine vision devices provide images used by machines, for example autonomous vehicles. Optical coherence tomography (OCT) is a scanning method for obtaining microscopic images. Some types of laser microscopes also acquire images by scanning objects. 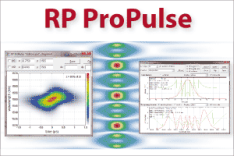 Optical surface profilers acquire high-resolution images revealing surface profiles. In lithography, for example for the fabrication of computer chips, complicated fine structures are imaged onto wavers. Here, particularly short wavelengths are required for very high spatial resolution. Terahertz imaging can be used for security screening, non-destructive industrial inspection and checking of agricultural products.